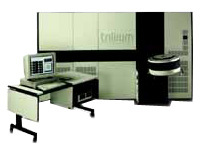 I had the task on Implementation of a calibration station for the Trillium VLSI tester. were major risks in doing in house calibration of the stanards that the tester used. to calibration enough to cause a yield problem.